Amazon kicked off its own streaming music service, Amazon Prime Music, in June, but critics lamented its limited music library. Now the bookseller is attempting to remedy that by adding hundreds of thousands of songs - no exact figure given, unfortunately - as well as hundreds of new curated Prime Playlists. The new artists being added and artists' catalogs expanded in this update range from Kendrick Lamar and Skrillex to Nick Cave and Ella Fitzgerald, according to a press release. Makes you wonder, does Amazon need to visit a record store, or does it just order new music from itself? It's unclear at this time whether these additions address the main complaint with Amazon Prime Music at its launch: that it only features songs that have been out for six months or longer. We've asked the company to clarify this point, as well as on exactly how many songs have been added, and we'll update if we hear back. Nevertheless, "the response we've had to Prime Music has far exceeded our expectations and we're excited to make Prime Music even more valuable for Prime members," Amazon VP of Digital Music Steve Boom said in the release. He added that Amazon has received positive feedback regarding Prime Playlists as well. 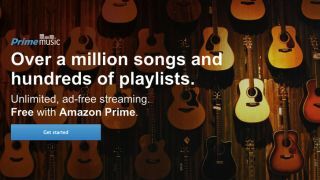 Amazon Prime members in the US have full access to Prime Music, with unlimited plays, offline playback and ad-free streaming on iOS, Android, Windows, OS X, Kindle Fire HD and Kindle Fire HDX. Plus, you know, all the other benefits of Amazon Prime membership. There's also a 30-day free trial available for non-Prime members.